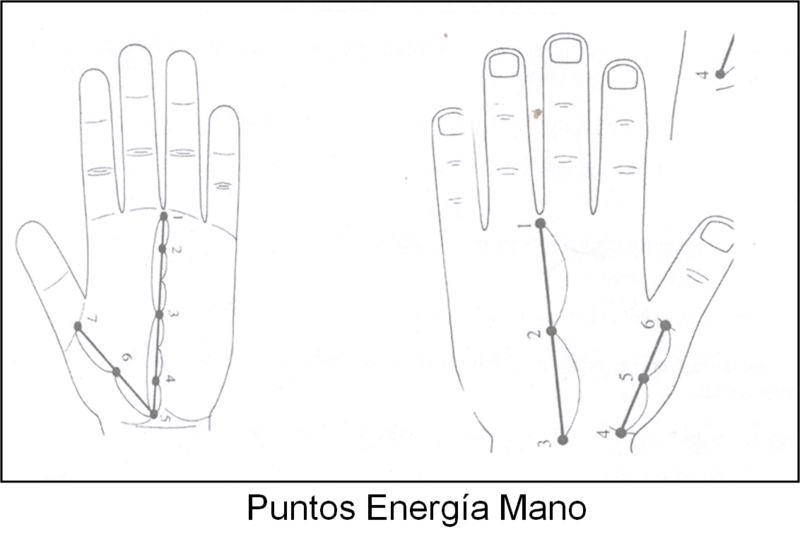 Energy point correspondences are on both yin and yang surfaces of hands and feet. This shows the standard or main system of correspondence. The energy points can be warmed with moxa as a complete therapy.Black pepper or dried green peas can also be applied. Ideally, first put seeds and then and then moxa – heat them. This helps to keep the body warm, get rid of body aches and pains and also remove tiredness or fatigue since the spine is energetically and physically connected to all body organs. As a general rule, if a problem is acute or sudden, use energy points on yang side, i.e. the back or darker side of the hand and foot. If it is chronic, and resisting treatment, use the yin or lighter side of hand and foot. You can use 1, 2 or all 4 hands/feet combinations depending on the severity of the problem. Find the points that are most painful on pressing: they are the best treatable points. The energy points are on the correspondence of the backbone or spine. In Sujok therapy this is usually called the TW or Triple Warmer, following the Traditional Chinese Medicine system. As we go deeper into the study of the energy points, more information unfolds about their significance and the different ailments they can be used for. Until then, keep the points warm, and share your experiences. Posted in Practicing Su Jok and tagged backbone, colds, energy points, fatigue, foot, hand, spine, standard correspondence, tw on January 8, 2014 by GlobalIndiaSujok.